Wheat straw amendment to sandy soil has the potential to remove nutrients from wastewater. 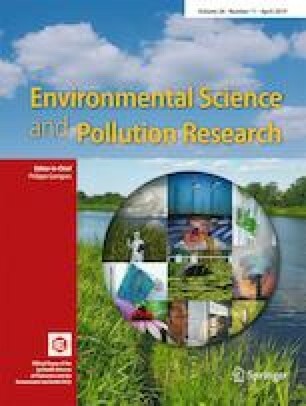 This study investigated the ability of wheat straw to remove inorganic nitrogen (N) and phosphorus (P) from wastewater when mixed into sand at different rates. Wastewater from a sewage treatment plant was added to sand alone and amended with different wheat straw rates 2.5, 5, 7.5, 10, and 12.5 g wheat straw kg−1 so that the sand was covered with about 15 cm of wastewater. Leaching was carried out after 4, 8, and 16 days and inorganic N and P were analysed after leaching in both the leachate and sand, as well as N2O and CO2 release. In the amended sand, nitrate was about fourfold lower throughout the experiment compared to sand alone. Ammonium was twofold higher than sand alone at 12.5 g straw kg−1 throughout the experiment and on day 16 also at ≥ 5 g straw kg−1. Leachate inorganic N concentration was up to 70-fold higher in sand alone than in amended soils irrespective of straw rate. On day 16, P leaching was about threefold lower and P retention was 40% higher in all amended treatments than sand alone. The redox potential in sand alone was higher than with straw amendments. With straw amendment, the release of CO2 per day was six times higher than with sand alone and increased with straw rates, but very little N2O and CH4 was released throughout the experiment. It can be concluded that amendment of sand with wheat straw can remove large proportions of inorganic N and P from wastewater, even at low straw rates. Likely mechanisms for retention are dissimilatory nitrate reduction and subsequent binding of ammonium to straw for N, and binding to the straw and microbial uptake for P.
The online version of this article ( https://doi.org/10.1007/s11356-019-04580-w) contains supplementary material, which is available to authorized users. Thi Huong Xuan Le receives a postgraduate scholarship from Vietnamese International Education Development. We thank the SA Water Corporation for supplying the wastewater used in the experiment.